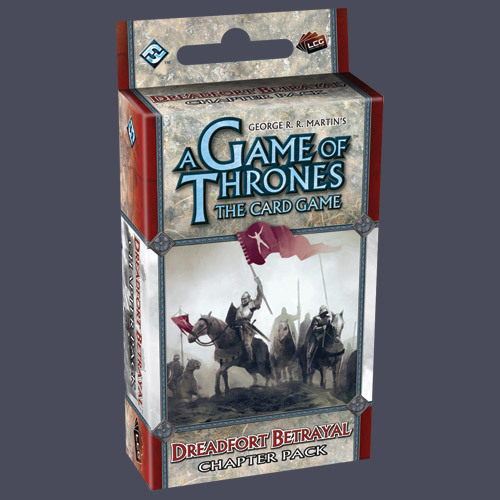 Dreadfort Betrayal is the sixth monthly installment of 60 fixed cardsâ€“3 copies each of 20 different cardsâ€“for the Brotherhood Without Banners expansion to A Game of Thrones: The Card Game. The never-before-seen cards in this expansion were designed to augment existing decks and add variety to the A Game of Thrones metagame. A A Game of Thrones LCG core set is required to play. Contains cards 101-120 of the Brotherhood Without Banners cycle.